Villa Ariston is a luxury hotel in Versilia, an extraordinary place with a unique, timeless atmosphere. An exclusive place where classic and contemporary blend together, creating elegant harmony in this complex overlooking the magnificent Lido di Camaiore. Our hotel in Versilia is an excellent solution guaranteeing you an exclusive holiday. This unique and prestigious complex, with sixty-two rooms divided into four buildings, is surrounded by 22,000 sqm of parkland where you can dedicate your time to relaxing in this peaceful environment, but also to business. Inside the park there are two rammed earth tennis courts, two gyms with the best Technogym equipment, a playground for children, a well-equipped semi-Olympic swimming pool, a hydro-massage pool and a wellness room with a wellness programme. Villa Ariston is history, tradition and elegance in a complex that has become a magnificent luxury hotel in Versilia where you can enjoy unforgettable holidays. A former manor house that belonged to the Rolandi Ricci family, the main Villa has a unique, timeless charm. Great personalities like Gabriele D’Annunzio and Giacomo Puccini have stayed here over the years and today, it is an ideal location in which you can enjoy exclusive holidays in Versilia. Behind the Villa, stands La Torre (The Tower), with its Neo-Fourteenth century features, rising majestically in the middle of the large park. 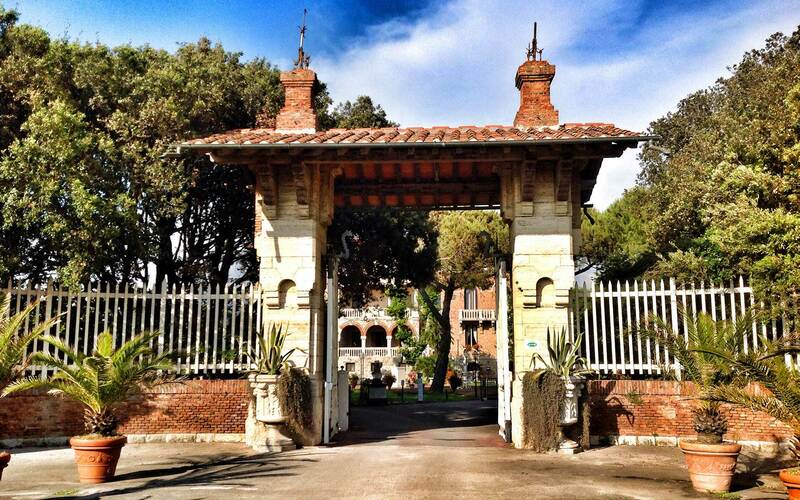 Once an outbuilding for the Senator’s guests, it is now a prestigious hotel in Lido di Camaiore. This historical building, annexed to the Villa, was one the farmer’s dwelling. Situated in a quieter area, today it is an elegant hotel in Lido di Camaiore ready to welcome guests into its elegant rooms. Every room is the result of a skilful combination of a love of elegance and refinement with attention to the utmost comfort.